Join us at our ABC11 tent on Saturday, April 20, at Halifax Mall in downtown Raleigh. 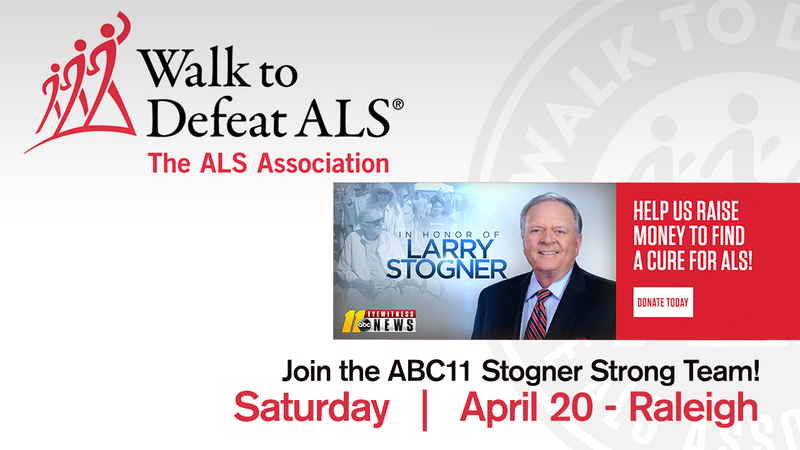 Walk with ABC11 as we come together to support the Triangle Walk to Defeat ALS. Go to http://web.alsa.org for more information.